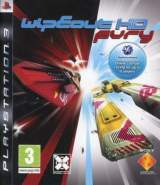 WipEout HD Fury © 2009 Sony Computer Ent. Europe. Released on November 21, 2011 in Japan.